Stock analysts often look at successful stocks like Netflix, and attempt to find patterns and indicators of success that might be present in other companies; if that analysis can find enough similarities, they may have found a winning stock that is poised to follow a similar path. 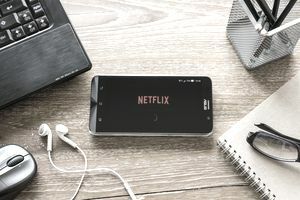 With that in mind, let’s look at three of the biggest reasons for Netflix’s success, and consider what other companies share those traits. If you are looking for a similar stock in the content sphere, you may be excited by Spotify. The European startup offers a similar service to Netflix, except with a focus on music and audio instead of movies and video. While its hybrid advertising- and subscription-based platform works a little differently than Netflix, it is on track for a 2018 IPO in the United States that may be an interesting (if risky) choice for your investment dollars. One newer company that uses similar methods of advertising to existing customers is Stitch Fix (NASDAQ: SFIX), a personalized styling service. After you sign up, you are sent a personalized delivery and can keep what you want. But with the knowledge of what you already like, Stitch Fix is in a great position to convince one-time customers to become repeat buyers. And with the rise of artificial intelligence and machine learning, those suggestions will keep getting better and better. What Netflix did for the video store, Blue Apron (NYSE:APRN) is trying to do for food. Blue Apron is a meal subscription service that delivers boxes of ingredients with cooking instructions to your door. Where Netflix’s initial value proposition was letting you skip the video rental stores, Blue Apron does the same by allowing you to skip the grocery store and recipe search websites. However, it is also important to look beyond the business model to the financials. Blue Apron has struggled for profits, laid off a lot of workers, and watched its stock price fall during a period where Netflix has shown tremendous growth. Still, while you might not want to sink your dollars into Blue Apron, there are some promising competitors in the meal kit delivery space also worth watching. All of the subscription box companies may not survive, but it is likely at least a few will be breakout successes—just like Netflix.